to capture, develop and action your ideas. 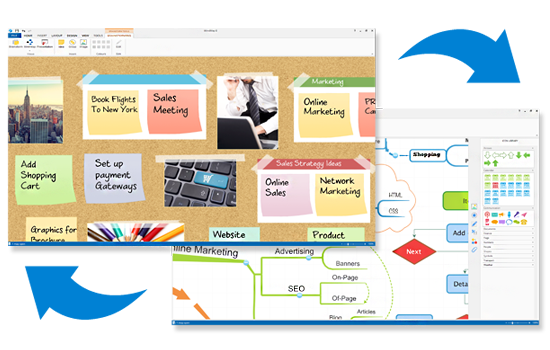 iMindMap is the only Mind Mapping software with an inbuilt free-form Brainstorm View, to capture your ideas in an unrestricted space. After seeing so many of our users covering their walls with sticky notes, we decided to give you a digital version that you can save and share with others. Add text and images on our new cork-board canvas, with scalable sticky notes and mini-boards to group ideas. 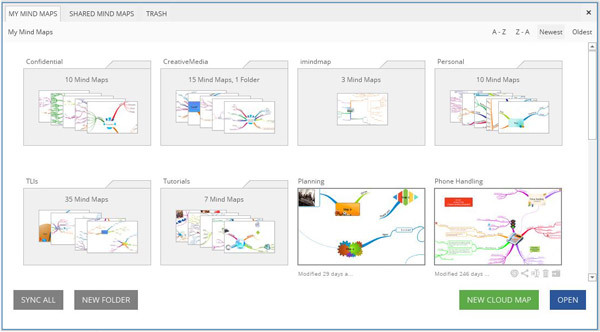 Fire your ideas into Brainstorm View, develop and organise them in iMindMap’s intuitive Mind Map View and finally, put them into action with the export to visual task management tool, DropTask. It’s a complete innovation process for creative thinkers who want results, not complex and bloated project management systems. Creative thinkers need the right thinking space and now we’ve given you two that work in sync. You can switch back and forth with the click of a button to view and build on your ideas in a free-form brainstorm or a Mind Map. iMindMap 8 comes with the next generation of our Branch Target, to add new branches, box branches and relationship arrows even faster. Extra perk? – the new target works brilliantly on touchscreens. 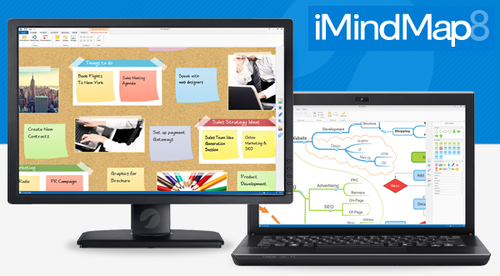 iMindMap 8 is packed with functionality, but we don’t want to overwhelm you with options. So, our clever new contextual menus make sure options only appear when they are relevant – keeping your workspace clean and uncluttered. Take a look at our sleek new library of colourful icons, designed to help categorise your Mind Maps and make them pop. We’ve also clustered options in the Properties Panel to de-clutter and make adding icons, images, flowcharts, links or notes to the canvas even easier. Working on two maps (or brainstorms) at once? Your open maps will now appear in a collapsible tab in the bottom corner of your canvas, giving you a cleaner workspace and a faster way to switch between projects. 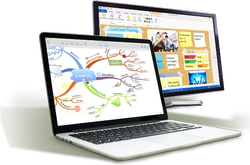 iMindMap Cloud allows you to sync your Mind Maps across all your devices and collaborate on them with other users. If you haven’t used it before, now is the time with the streamlined cloud experience in iMindMap 8. 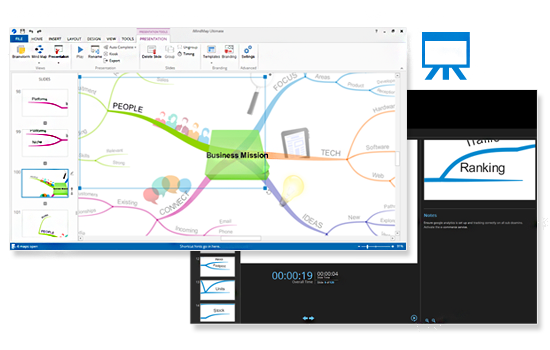 With the new slide preview layouts and a simplified menu system, iMindMap 8′s Presentation View makes it easier to create memorable presentations with your Mind Maps. You can now also attach Slide Notes to specific points in your presentation. Slide Notes will appear alongside your presenter screen to prompt you when needed and ensure your presentation goes off without a hitch.